In Sunday Earshot Jazz Festival presented a slew of different shows starting with Luciana Souza Trioat the Triple Door. 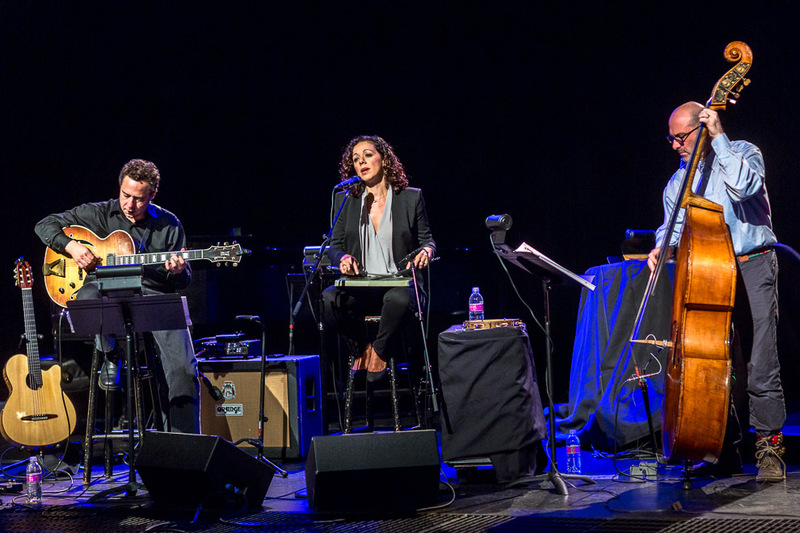 Brazilian-born Grammy-winner Luciana Souza teamed up with California guitarist Larry Koonse and Toronto-born multi-genre bassist David Piltch for a lovely performance. Here is the 2012 Earshot Jazz Festival schedule to see what is coming up next. 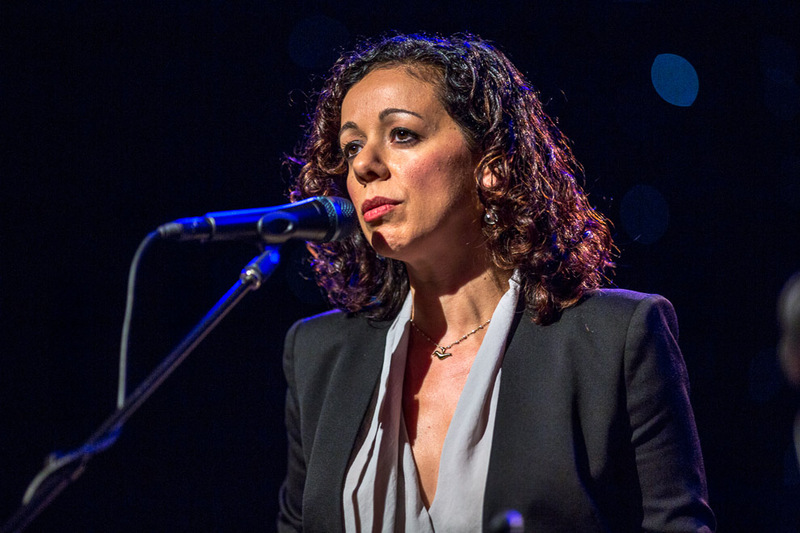 No stranger to collaborations of this nature, vocalist Souza has worked with genre-crossing luminaries like Paul Simon, Herbie Hancock, Argentinian classical composer Osvaldo Golijov and James Taylor. Her longstanding duo work with guitarist Romero Lubambo has earned her accolades across the globe. Her recent August releases on Sunnyside Records – The Book of Chet and Duos III – offer Souza’s personal and masterful singing in homage to Chet Baker and traditional songs from the Brazilian repertoire with three master guitarists, including Lubambo. As a leader, Souza has eight acclaimed releases, including four Grammy-nominated records. Her complete discography contains more than 50 records as a side singer. In 2005, Luciana was awarded Female Jazz Singer of the Year, by the Jazz Journalists Association. Souza is a Berklee College of Music graduate and a master’s degree holder in jazz studies from the New England Conservatory of Music. She’s taught at the Manhattan School of Music and at Berklee. From 2005 to 2010, Souza was the Jazz Artist in Residence with the prestigious San Francisco Performances. 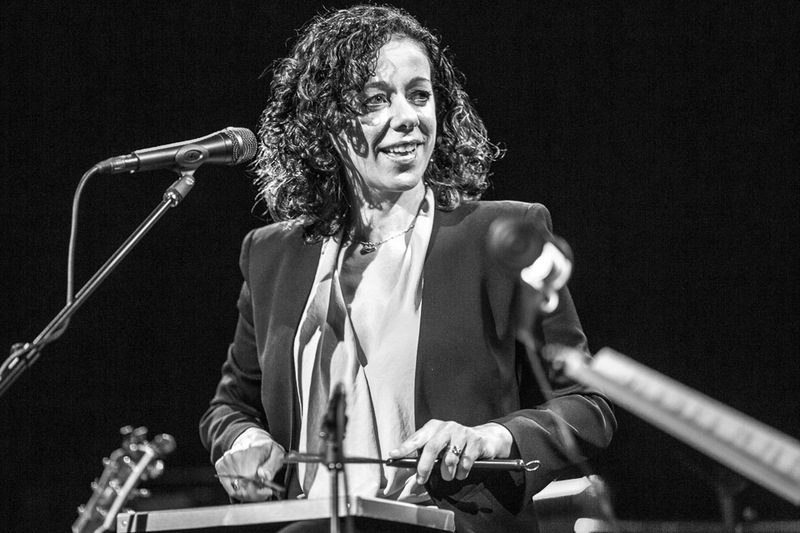 Hailing from São Paulo, Brazil, Souza grew up in a family of bossa nova innovators; it comes as no surprise that her work as a performer transcends traditional boundaries around musical styles.